Excellent product. This laptop is certainly a classy product with user friendly interface and a brilliant touch pad to add on. 1. RAM is expandable which is an excellent feature for Gamers as well as date entry workers. 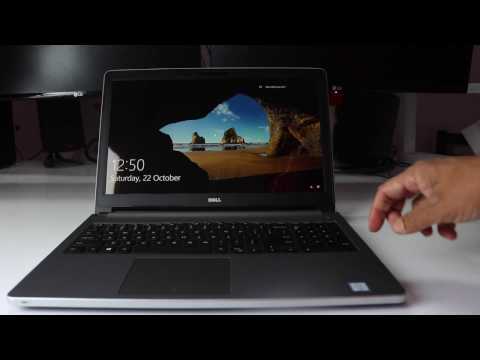 1 Pricebaba user have written their experience with Dell Inspiron 5559 (Y566513HIN9) (i7 6th Gen/16GB/2TB/Win 10/4GB GFX). If you own Dell Inspiron 5559 (Y566513HIN9) (i7 6th Gen/16GB/2TB/Win 10/4GB GFX), please do leave your feedback too. On the display front, the Dell Inspiron 5559 has a screen measuring 15.6-inches. It has a HD Truelife LED-backlit display bearing a resolution of 1920 x 1080 pixels. For video calling functions, there is a webcam located on the top of screen. As for the audio, there are 2 tuned speakers with Waves MaxxAudio that give good sound output. There is a headphone + microphone combo jack for connecting any accessories. The Dell Inspiron 5559 runs on an Intel core i7 (6th gen) processor paired with 16GB of DDR3 RAM. There is an additional 4GB GDDR3 AMD Radeon M335 graphics processor onboard. In terms of performance, this laptop runs smoothly and you can expect light gaming. It offers a massive 2TB hard disk storage capacity for all your needs. The Inspiron 5559 comes with Windows 10 preinstalled out of the box. This laptop has a 4-cell removable battery which can last up to 7 hours. There are two USB 2.0 ports for connecting any peripherals like a pendrive. A modern USB 3.1 port is used for data transfers.There is a traditional optical drive for inserting CD’s. As for connectivity, Bluetooth v4.0 enables you to connect the laptop to Bluetooth enabled devices. WiFi connectivity lets you connect to the internet wirelessly. In case the WiFi fails, there is a Ethernet port as a fallback option. This laptop weighs 2.4 kg. It ships in stylish Silver Matt color. There is a 2 year onsite warranty provided against accidental damage.